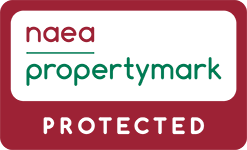 As a local independant family business we are proud to offer our clients a full and comprehensive range of services from fully managed portfolio's to single property landlords. We can tailor make a plan to suit any clients needs and will spend time making sure that you have the right service for your needs. We produce full colour brochure with photographs and room sizes which are then marketed through our extensive range of websites including Rightmove, on the market.com etc and newspaper adverts to find the right tenants for the property. Once suitable applicants are found they are fully credit and reference checked before being accepted as tenants. A moving in date is then agreed and a full legal tenancy agreement is compiled which is signed by both the tenants and the landlord. Your service includes the required gas safety certificate and rental guarantee and legal expense insurance, offering you piece of mind.With our detailed knowledge and ARLA qualified staff you can be safe in the knowledge that your property management will adhere to the strict rules and regulations from over 150 acts of parliament and numerous sets of regulations. Including: Immigration checks and GDPR compliance as we will act as the data controller. Before the tenants move into the property a full inventory is taken and a security deposit is taken and lodged with the deposit protection scheme (DPS) and the tenants sign the required prescribed information. The first month’s rent is also taken in advance . Any queries, questions or problems the tenants have, day or night, through the term of the tenancy will be dealt with by Bloore King and Kavanagh. The rent will be collected by standing order and then passed by bank transfer to the landlord minus the management fee along with a monthly statement for your records. During the tenancy a representative of Bloore King & Kavanagh will visit the property periodically to inspect the condition and a full report is sent to you. We can provide tax statements and also deal with non UK resident landlords. At the end of the tenancy Bloore King and Kavanagh will check the tenants out of the property. Bloore King & Kavanagh will produce full colour brochure with photographs and room sizes which are then marketed through our extensive range of websites including Rightmove, on the market.com etc and newspaper adverts to find the right tenants for the property. Once suitable applicants are found they are fully credit and reference checked before being accepted as tenants. A moving in date is then agreed and an Assured Shorthold Tenancy Agreement is compiled which is signed by both the tenants and yourselves. 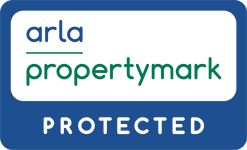 With our detailed knowledge and ARLA qualified staff you can be safe in the knowledge that your property management will adhere to the strict rules and regulations from over 150 acts of parliament and numerous sets of regulations. Including: Immigration checks and GDPR compliance as we will act as the data controller. Any queries, questions or problems the tenants have, day or night, through the term of the tenancy will be dealt with by our experienced management team. The rent will be collected by standing order and then passed by bank transfer to the landlord minus the management fee along with a monthly statement for your records. During the tenancy one of our management team will visit the property periodically to inspect the condition and a full report is sent to the landlord. At the end of the tenancy we will check the tenants out of the property. Our Rent Collection Service is for those landlords who are happy to take more of an active role in managing their rental property but want someone to collect rent. The tenant find option is just as comprehensive as our managed service in finding, checking and selecting the tenant but you will manage the ongoing rental yourself once the tenants have moved in. We will produce full colour brochures with photographs and room sizes which are then marketed on Rightmove, onthemarket.com, bloorekingkav.co.uk and facebook to find the right tenants for you. Once suitable applicants are found they are fully credit and reference checked before being accepted as tenants. A moving in date is then agreed and Assured Short hold Tenanacy Agreement is compiled which is signed. Prior to moving in we will take a security deposit from the tenants which you will need to arrange to lodge with an approved deposit scheme, we recommend the deposit protection scheme (DPS). The first month’s rent is also taken in advance . With our detailed knowledge and ARLA qualified staff, you can be safe in the knowledge that your tenancy agreement has been set up to adhere to the strict rules and regulations from over 150 acts of parliament and numerous sets of regulations. Including: Immigration checks. Once the tenants have moved in they are given contact details of the landlord who will then manage the rental until the end of the tenancy. der and then passed by bank transfer to the landlord minus the management fee along with a monthly statement for your records. As an optional extra you may wish to order a full inventory which is recommended in order to protect the use of the deposit. You will be classed as the data controller under the new GDPR legislation and should ensure that you are aware of the legal responsibilities this entails. Our tenant find service is for those landlords who are happy to take more of an active role in managing their rental property. Once suitable applicants are found they are fully credit and reference checked before being accepted as tenants. A moving in date is then agreed and a full legal tenancy agreement is compiled which is signed by both the tenants and the landlord. Prior to moving in we will take a security deposit from the tenants which you will need to arrange to lodge with an approved deposit scheme, we recommend the deposit protection scheme (DPS). The first month’s rent is also taken in advance . A fee of £120 incl vat for the renewal of a fixed term tenancy or £84 incl vat for a periodic tenancy renewal . A fee of £24 incl vat per item for the preparation and issuing of notices, memorandums and extension documentation. A fee of £60 incl vat payable from the rental income for each financial year or part thereof in respect of work undertaken by the Agent in relation to the Non-Resident Landlord Scheme. Where the Landlord requests a detailed statement of accounts for the tax year then a fee of £22 incl VAT will be payable to the Agent. A charge equivalent to 15% for managed/ 20% for non managed, of the total value claimed for any insurance claim made by the Agent on the Landlord’s behalf. Contract Termination prior to Tenancy Commencement: A withdrawal fee of £180 incl vat is applicable upon termination of the agreement prior to the commencement of a tenancy. In the event of a party introduced by the Agent subsequently purchasing the property from the Landlord, whether before or after entering into a tenancy agreement, commission shall be payable to the Agent on completion of the sale at a rate of 1% of the sale price (+VAT) with a minimum fee of £1800 incl vat.